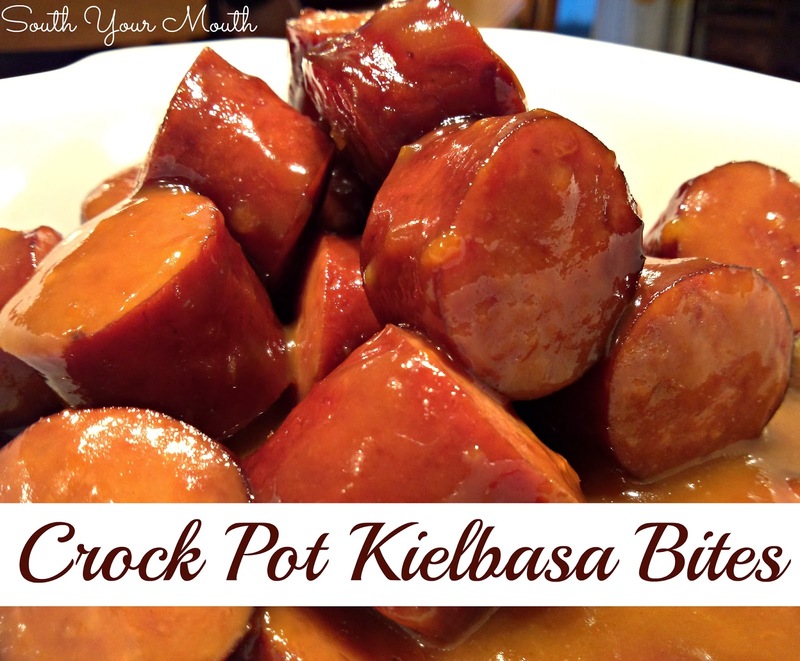 Kielbasa or smoked sausage with sweet and tangy sauce made with apricot preserves and dijon mustard. 2) Why couldn't you make the same thing with kielbasa or smoked sausage? It would be cheaper and you could serve it for supper without feeling like you’re in a retro cocktail lounge. So guess what I did this weekend? And I’m here to tell you…. I love the sauce! It’s still sweet without being cloying and has a tiny little bite from the mustard! These are awesome as a main dish but would be stellar as appetizers too. Plus, it's just nice to have a new twist on an old classic! Cut kielbasa into 1-inch pieces; set aside. Combine apricot preserves and dijon mustard in a small bowl and whisk until smooth. Add kielbasa and preserves mixture to a crock pot and cook on low or high until heated through. Serve immediately or reduce heat to “warm” or “keep warm” setting until ready to serve. *I prefer the original varieties of these rather than the all-beef. And can totally use cocktail wieners with this recipe if you want! I have done the grape jelly for years but with Chili sauce not barbecue does it taste the same? I usually make mini meatballs since my son says the sauce absorbs better in the homemade rather then the frozen ones. I don't mind doing them to make them happy but the last time I counted 160 mini meatballs, it took forever, but they freeze well. My guys love smoke sausage and kielbasa so your recipe is going on my shopping list right away. Thanks for the great easy idea!! Can you give a general idea of how long this will need to be in the crock pot? 1-2 hours on high or 3-4 hours on low... just until everything is heated through. Have not done this in crock pot but have made it several times with cut up (leftover) sweet potatoes mixed in! Would you serve this over rice? I'm trying to figure out what to serve with it as a main course. Thanks!! I am not the author of recipe of course but I think this would be great over rice! Combine all ingred. in crockpot; whisk juice and 1 cup BBQ Sauce with 1 TBSP. Corn Starch and add to crockpot. Cook on low until desired doneness. Serve as appetizer or over rice.